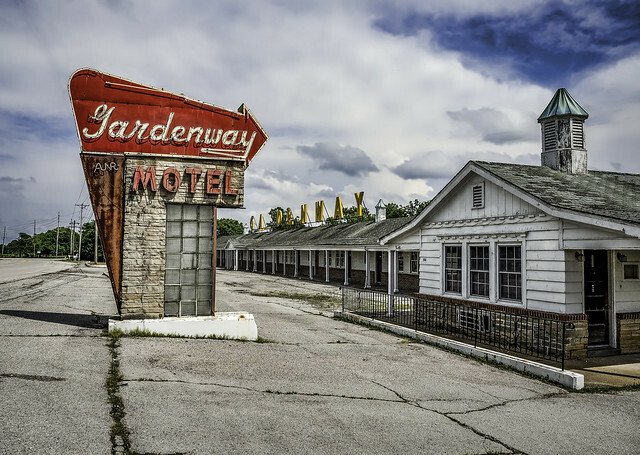 The loneliness of mostly-abandoned Route 66 is all the more cutting for the towns that once thrived along its 2,448-mile length, many of which declined or dried up altogether when it was decommissioned in the 1970s and ‘80s. The famous route that brought migrants west during the Dust Bowl of the 1930s and served as a symbol of the open road in later decades became irrelevant with the construction of new highways, and while some states have incorporated it into local roadways, many stretches were left to crumble. 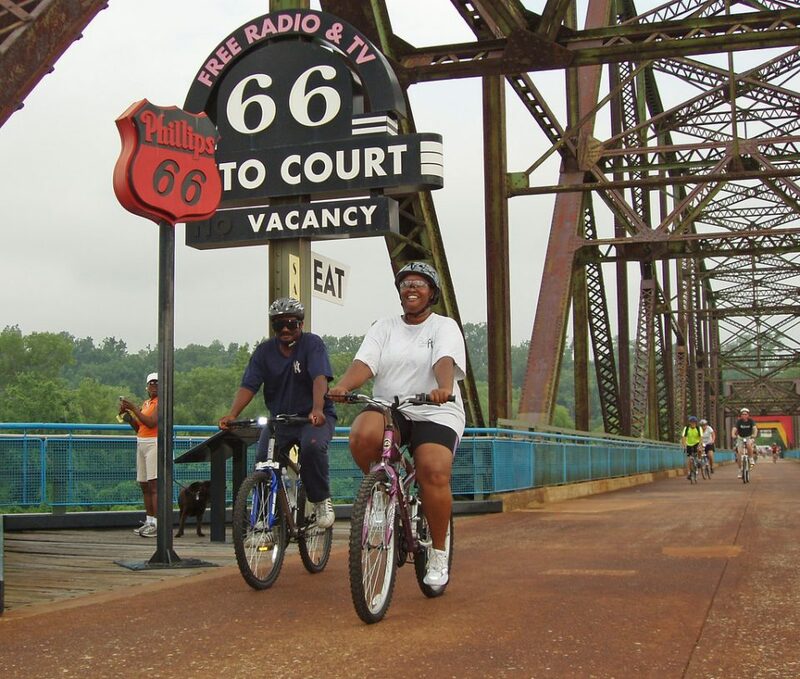 Now, the United States Bicycle Route 66 is set to revive it, following roughly the same course. The first official sections of this new recreational route opened in June 2018, starting in St. Louis and running across Missouri before cutting through a narrow 13-mile slice of extreme southeastern Kansas. These segments are part of the U.S. Bike Route System, a developing national network of officially recognized bicycle routes around the country. 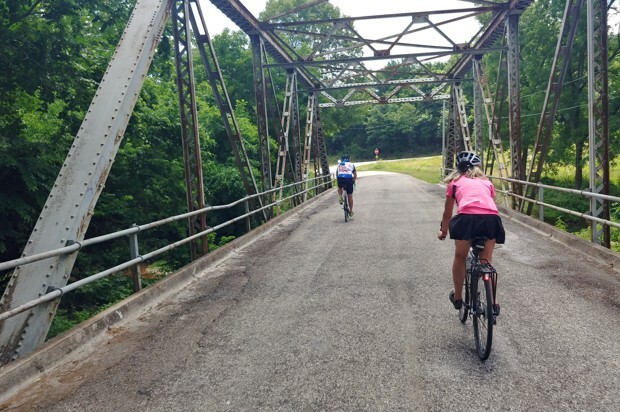 If the other six states of the original Route 66 get on board, it could become one of the longest bike routes in the nation, connecting to other key bicycle touring routes like the Transamerica Trail (USBR 76) and the Mississippi River Trail. That’s great news for cyclists, not to mention the towns most affected by the decline of Route 66, which could see new tourist activity. Plus, the new bike route will likely be joined by additional development and protections in the future, since the U.S. House of Representatives officially designated Route 66 a National Historic Trail in June, promising federal oversight and funds for preservation and promotion. Towns like Peach Springs and Seligman, Arizona, which flourished and then floundered as they were bypassed by new highways, could amp up their Route 66 nostalgia tourism for cyclists, too. Not that bicyclists don’t already follow the path of Route 66; it was mapped by the Adventure Cycling Association in 2015, and adventurers made their way across it before that, too. But signs are hard to come by, and in some segments, riders have to cruise along the shoulder of I-40. The new segment of the official bike route is paved and marked, running alongside lots of tourist stops packed with memorabilia. CityLab has more details on the new Route 66 bike route. To learn more about the history of the road, check out ‘Could new legislation lead to a Route 66 economic revival?’ on The Conversation.